AV Equipment Rental Now Available | SPARKS! 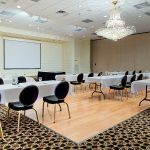 Make Your Presentations Pop with AV Equipment Rental from SPARKS! SPARKS! is excited to offer Baltimore area organizations the ‘ability to improve visibility’ through our new AV Equipment Rental service. Made available in conjunction with our Odyssey Audio Media division, we can now provide LCD projectors, screens, portable sound systems and accessories suitable for business presentations, meetings and small-to-medium corporate events. Existing SPARKS! clients are eligible for a 10% discount, too! For more information, visit our AV Rental page.